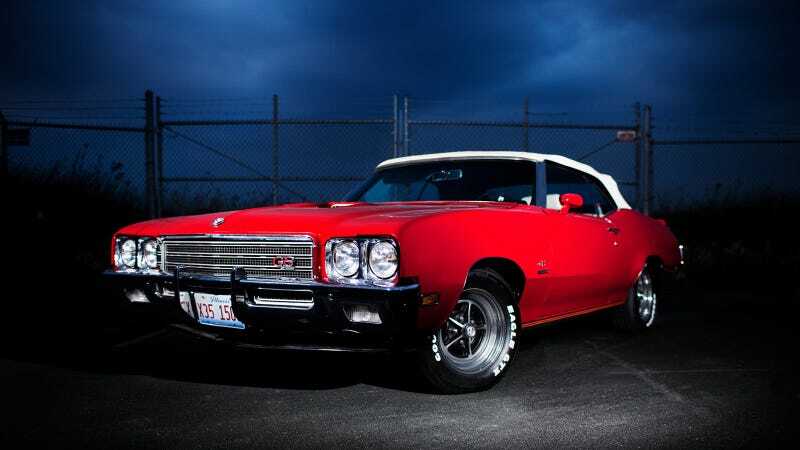 Yes, I've lately made a shift to older American muscle cars and away from European race cars. No, I didn't just turn 55. This fella Zachary Hansen keeps emailing me with them, what am I do? Today's car started life as a Buick GS 350 but was properly upgraded to a 455 big block with correct badging and factory appropriate red paint. Its owner says it'll outshine your run-of-the-mill Ferrari if both pull up to a stoplight. If it's a 308 it might even outrun it.